Oh yeah, this was totally an "accident". Everyone quickly sees the obvious white horns over the top of Hillary’s head, but the real genius of the positioning are the smaller, blue horns that you don’t see right away. Those are the ones that look truly devilish. Excellent job on the graphics, Time magazine! The controversy all centers on the cover of time’s latest issue which features a cover story on Clinton. If you look closely at Clinton’s head you can see what appears to be Devil horns. Oh yeah, this was totally an “accident”. 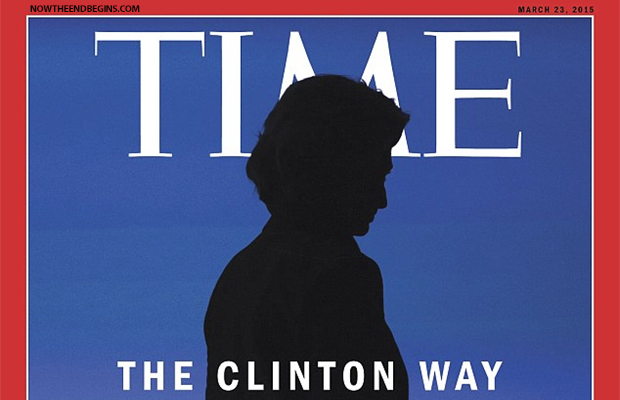 Time says it is simply an optical illusion because of the way the “M” in Time lays over Clinton’s head. This week’s not-so-subtle jab at Clinton, intentional or not, comes as she is under fire for using a secret, private email system during her years as secretary of state. Democratic insiders are beginning to reconsider her role as the party’s ‘inevitable’ 2016 presidential nominee, and other potential candidates are testing the waters. Former Secretary of State Hillary Clinton explains her reasoning for not keeping a government-issued email address, saying that she didn’t want to manage two e-mail addresses, and that her government correspondence was transparent.